EMPIRE is a powerful new drama that follows Lucius Lyon the head of a music empire whose reign has been unchallenged for years. 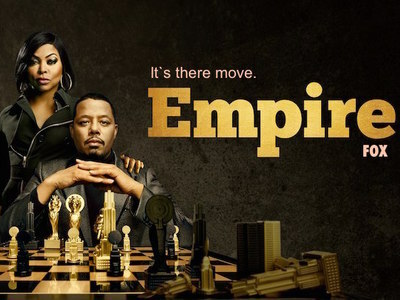 But all that changes when he learns he has a disease and must choose one of his three sons to take ove..Complicating matters is their mother and Lucious' ex-wife Cookie Lyon who emerges from prison to claim her share. Plenty of drama pack, family tv show,America's most watched tv show. Cookie Lyon is Lucious' outspoken ex-wife and mother of his three sons, who served a 17-year stretch in prison for drug dealing. She sees herself as the sacrificial lamb for Empire Entertainment, which she built with Lucious, but then took the fall for when she was arrested for running the drugs that financed Lucious' early career. Upon her return from prison she is determined to bring the Lyon family back together and reclaim her share of Empire Entertainment.